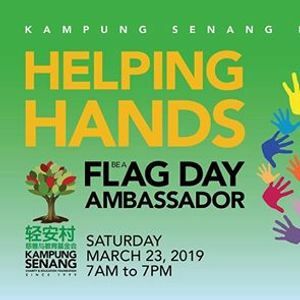 At Kampung Senang, we deliver love and care for the elderly, the disabled and cancer patients of all age group, making a difference to their lives. 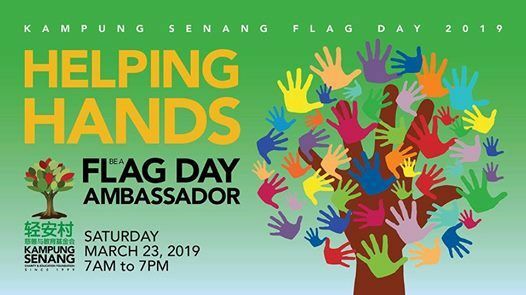 Inspire the public to donate generously for the elderly, the disabled and cancer patients on SATURDAY, MARCH 23, 2019. We are seeking for 500 volunteers to bear our donation containers island-wide at 15 selected MRT stations (between 7am to 7pm) and 30 volunteers to count the funds raised during this exercise (between 3pm to 10pm). Volunteers must be at least 16 years old. Values in Action (VIA) certificates will be granted to student volunteers upon request. For more information, please call us at 6749 8509.